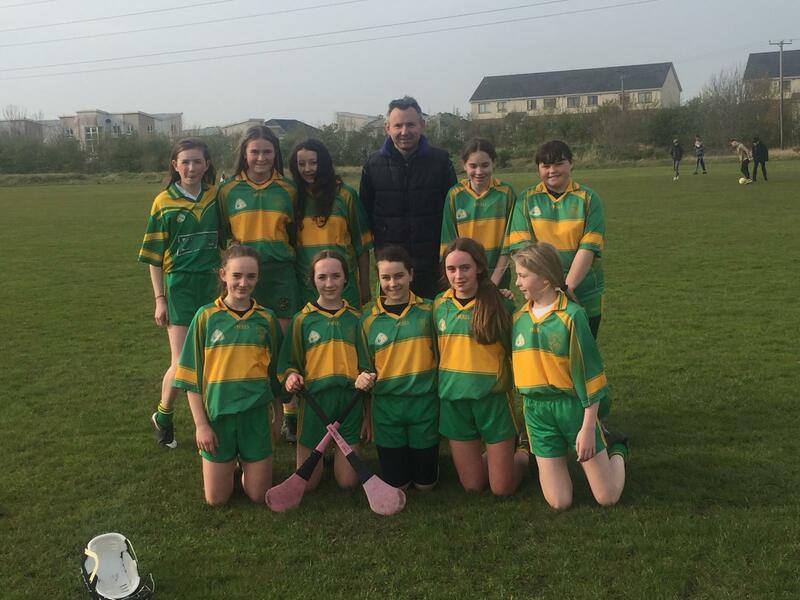 Our girls welcomed Athy for Round 2 of the league on Tuesday last. Another great team performance by this great bunch of girls makes it 2 wins from the first 2 games of the league. What a huge success for girls football today, Saturday 13th April in Kill GAA Club with their first ever U10’s Blitz. There were over 85 girls playing 9 matches this morning in the Club Ground. 31 of these girls were from our own Club. Girls football are packing in the numbers. The way it is looking now it bodes very well for the future of Girls Gaelic football in our club. 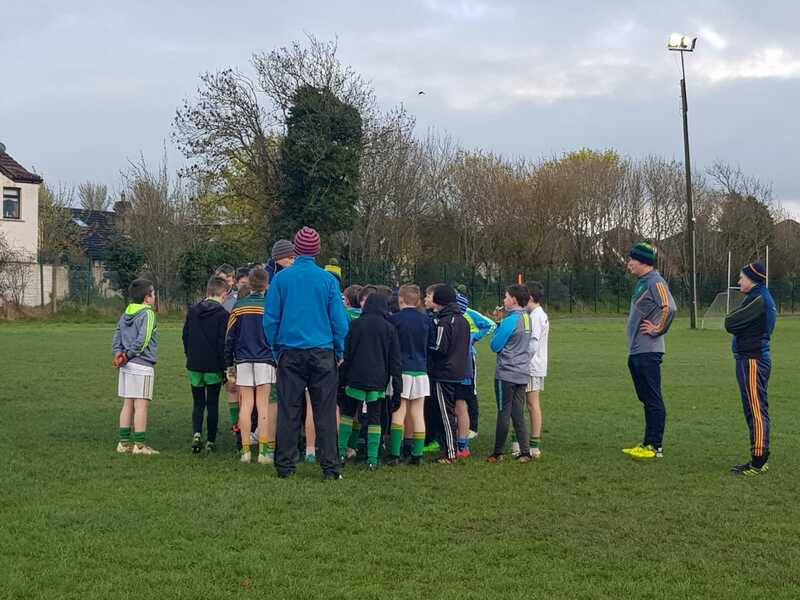 Our visitors Raheens, Sarsfield and Eadestown played excellent football and it was a pleasure to have them take part. The games were played in great spirit and plenty of fun was had by everyone. Big thank you to Alan Jordan for the goodie bags and the parents for all the sambos, cakes and goodies and not to mention the help with serving out teas and coffees to all the away teams. The three away teams were very impressed and very complimentary to us. A final big thank you to Derek, Ronan, Conor, Yvonne, Jackie & Sinead. Fantastic coaching and super encouragement to our girls. May it long continue into the future. We appreciate and applaud you for your time and effort. for giving up their time and keeping our grounds maintained. If it wasn’t for the help of these guys and their machinery, our grounds wouldn’t be as good as they are. Great to have people like this around giving up their precious time. 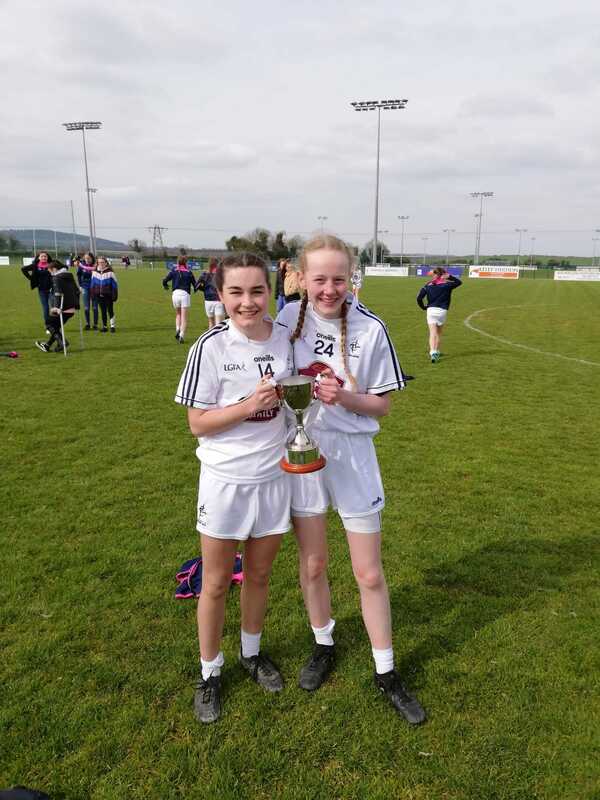 On Saturday our own Niamh Farrelly and Mya Pardy from Kill GAA Club played the Leinster B U14 Football Final with the Kildare U14 squad. Congratulation to Kildare for their win against Westmeath in Hawkfield today. Girls your Club, team mates and coaches are so proud of you both. 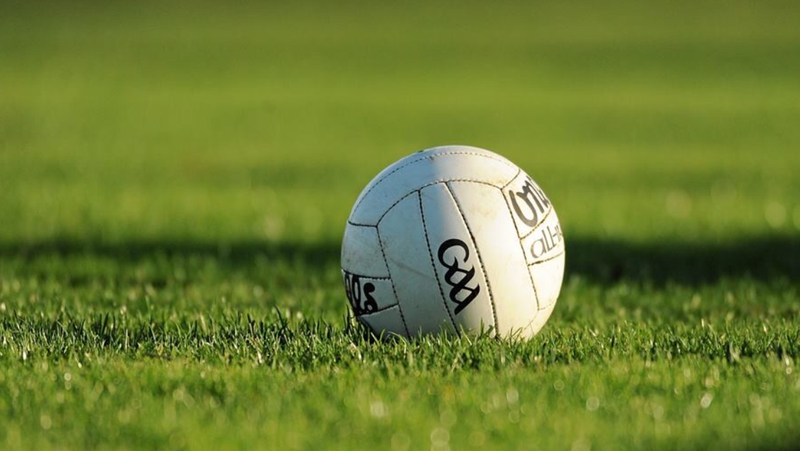 Our senior footballers recorded their third defeat of the league campaign when defeated by Rheban on Saturday. 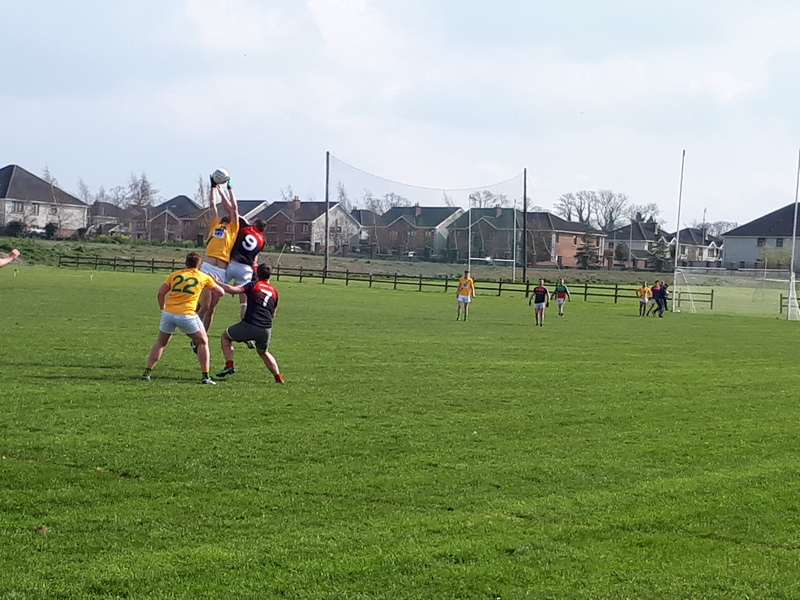 Kill started the game well, aided by a strong breeze and lead by 0-06 to 0-02 after 15 minutes with scores from Alan Wren 0-04, Paul Kirwan 0-01 and Eoin Finneran 0-01. Rheban chipped away at the lead and with 5 minutes remaining in the first half they hit the front with a goal after a mix up in the home sides defence, a lead they would never relinquish. Three more Rheban points before the break meant the visitors lead by 1-09 to 0-06. Kill took the game to Rheban early in the second half however we could not convert the possession into scores and the visitors built on their lead. Kill kept trying until the end with scores from Kirwan 0-2, Matthew Ryan 0-01 and James Lawlor 0-1. Well done to JJ Kelly who had been training this young side all winter. All that hard work showed in todays match. All our girls played extremely well. 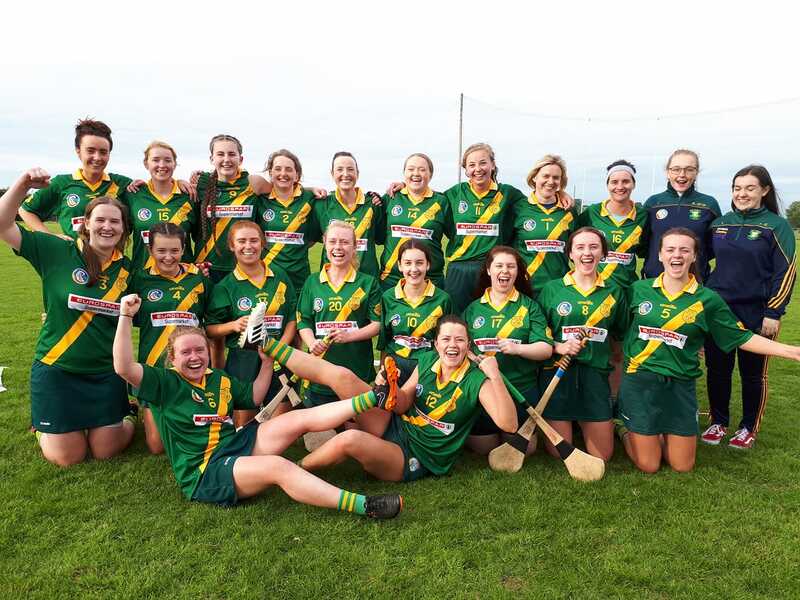 Especially the Cahill girls, Sara and Kathryn Cahill, who were on fire scoring 4 goals between them. Best of luck with the next few matches Girls. Written by Marie Cullen 6/4/2019 & Photos from Eileen Cahill, Thank you. Paul Donnelly from Kill received his refereeing qualification today from the President of the GAA John Horan in Croke Park today . Well done Paul, looking forward to seeing you on the pitch. 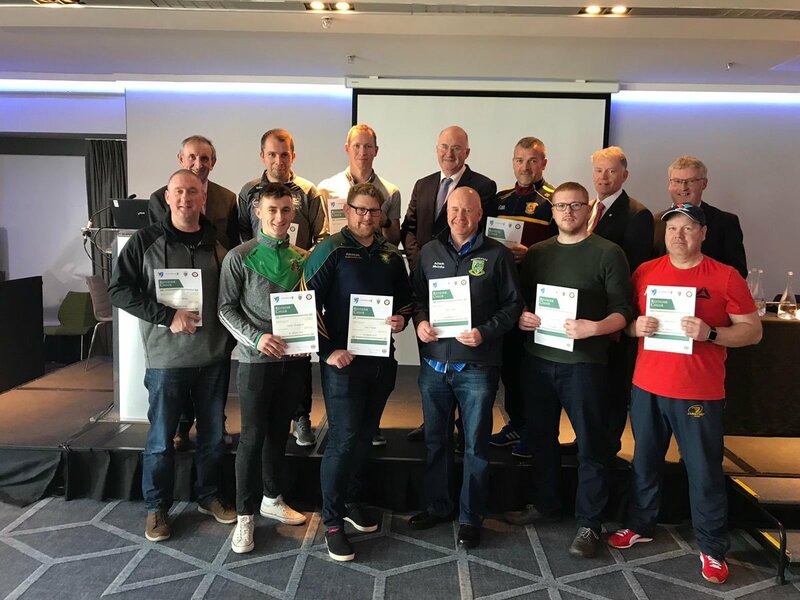 The first thing to do, is to contact your local Referee Administrator or Recruitment Officer who will give you details on upcoming GAA Referee Foundation Course in your local area, which you will have to complete before you can referee games. GAA Club Referee Course will take 3 nights to complete and will be delivered by GAA Referee Tutors. 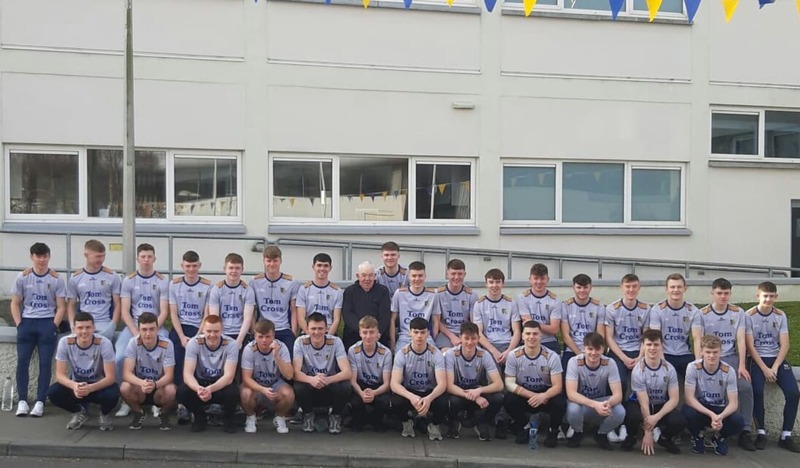 Best of luck from all @ Kill GAA Club to Naas CBS who will make history when they become the first Kildare School to play in the All Ireland Post Primary Hogan Cup Football Final. 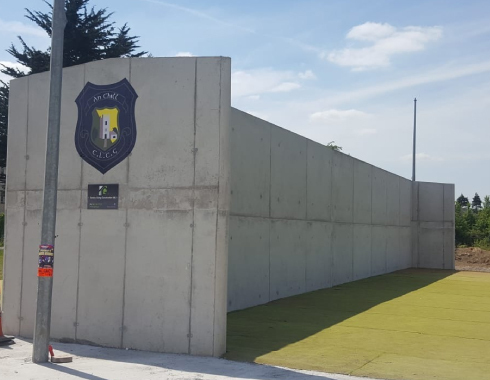 Kill GAA is looking for your support this year with the 2019 Kildare Club Draw. 60% of all monies raised on tickets sold will go towards the Club to help upgrade our Floodlights. There is no doubt this will be a great asset to the club, especially in the shorter evening throughout the year. At present, our lights are not up to the National Playing Standards to play certain league matches. As a result, in the darker evening, we are faced with having to find pitches away to play these matches. The Executive Committee present and past have been fundraising and saving to upgrade these floodlights for a couple of years now. The dream would be to have the work completed before our evenings get short again. Where to buy tickets for the draw? You can buy a ticket now in full by completing the form below. 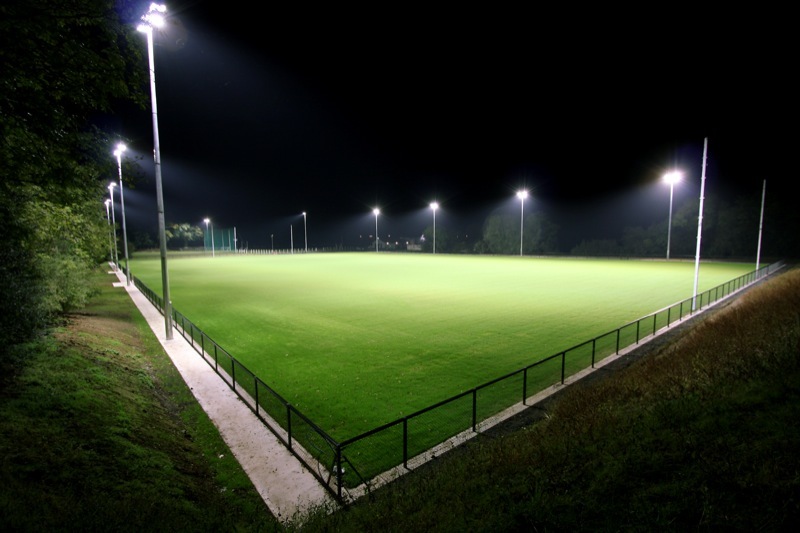 Thank you for supporting Kill GAA Floodlights Upgrade and Best of Luck in the Draw. 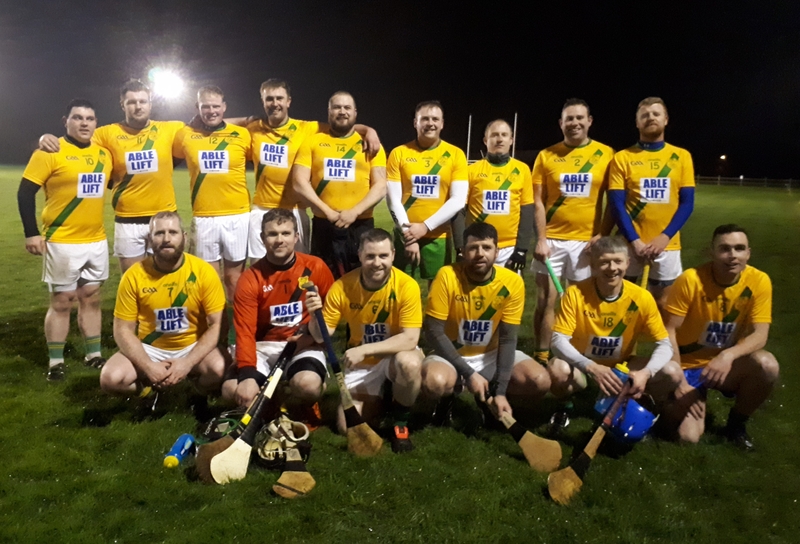 Our Senior Hurling Team played their first match of the year with a challenge against Maynooth on Wednesday just gone. A great effort was put in considering the very poor weather conditions, resulting in a 1-point win on a score line of 3-08 to 3-07. Keep an eye on our Facebook page for updates on the Match venue and time. Kill played Donard Glen on Monday last, in Donard Glen GAA pitches. Kill suffered a narrow 5-point defeat. The weather conditions were appalling, just before the match started hailstones fell, and it was followed by what can only be described as torrential rain for the full match. The girls braved the elements and went out fighting. Our ladies had possession a lot of the time in the first half, but it wasn’t meant to be. The goals were only going in for Donard Glen. At the end of the first half the Score was Donard Glen 3-03 to 0-04 Kill. This did not dampen their spirits; our ladies went back out and played as if the sun was shining. Each and every one of the Kill team pulled it together, which enabled Michaela Kavanagh to score three goals in the second half. Great game girls. 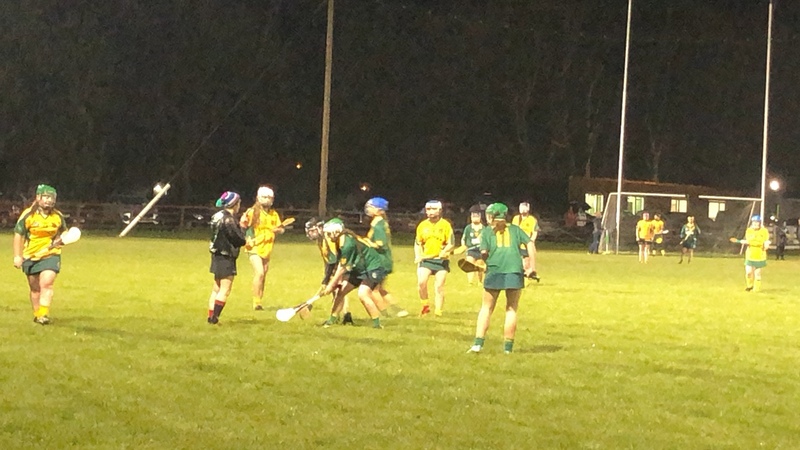 Your passion for Camogie is fantastic. Eimear Broderick replaced Ashling Mantle in the 1st half. Lily Guerin replaced Aoife Goodwin in the 2nd half. We would like to welcome our new players on the team for 2019. We have a bright year ahead of us. Next draw is on Monday 8th April @ 9pm in Kill GAA Club House Bar. Kill senior footballers played host to Suncroft on Sunday last and both sides served up an excellent game of football. Kill opened the brightly and a fine team goal finished by Matthew Ryan put the home side in the lead after 5 minutes. Kill failed to build on that early lead and Suncroft through county player Fionn Dowling equalised after 15 minutes to the Kill net. Suncroft with the wind on their backs lead by 4 points with 5 minutes remaining in the opening half but three quick-fire Alan Wren scores brought the gap back to 1-05 to 1-06 at the break. The opening quarter of the second half produced end to end football, and early scores from Suncroft were cancelled out with a goal from Dara Challaneer after good work by Stephen Skelton. Moments later Kevin Crowe put Kill back into the lead with a well-taken point. However, from that point onwards the visitors took the game by the scruff of the neck and rattled off 2-04 to lead by 9 points with time almost up, but another Wren point from a free followed by a goal from Matthew Ryan reduced the gap to 5 points. Kill play Rheban in Round 3 next Saturday at 6pm at home. 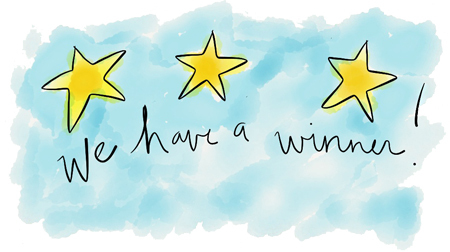 A big thank you to Kill Pharmacy for selling our Club Lotto tickets now. Our Club relies on numerous fundraising throughout the year to survive. Jackpot this Monday is €10,000. Lotto Draw is on Monday Night, 1st April At 9pm in Club House Bar. Proudly powered by WordPress Theme: Flat Responsive Pro.